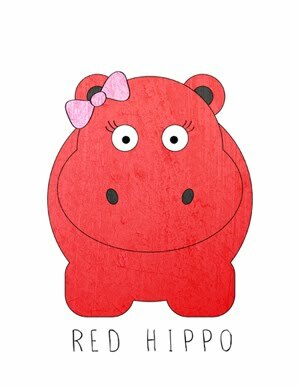 Red Hippo: mama to a three month old (and toddler)! sailor is (by far) a very different baby than easton was. he likes to be held (much more) than easton did, he's far less fussy, and he sleeps like a champ. sailor is sleeping through the night at least half of the time, while the other half, he wakes only once. i almost wish he'd wake up more often then he does- it makes me feel a little more needed, i suppose. sailor is such a happy baby. he usually cries when he's hungry and tired. that's about it. sailor seems to be very sensitive to gas pain, so i've had to cut out dairy from my diet because for some reason that affects his tummy. last week i ate cheese for the first time since new year's day and sailor was miserable for the next couple of days. so, dairy free, i go. i once heard someone say, "no child has the same parent." i can't believe how true that is. easton had a mama who was much more stressed (in the beginning), who stayed at home full time with him until he hit 14 months, and spent much of the day with only his needs to worry about. sailor, on the other hand is experiencing a much more easy-going mama. i have gone back to work (part-time, two days a week) and he shares my attention with the needs of easton. while i didn't leave easton's side until he was seven months old, sailor spent the entire week (at just under three months) with tony while i was in a training for work. i don't believe that easton or sailor got the better version of my parenting, just different. all i can do is pray that my boys will get what they need from me- and that i can adjust my sails to fit their needs throughout their lives. -sailor's eyes are still a dark shade of blue grey. -the shape of sailor's eyes are identical to mine but his hair line is tony's. some people say he looks like me, other's say he is tony's twin. either way, sailor-boy is beautiful. -sailor is wearing 3-6 month clothes, which might be insignificant to other people but to us it demonstrates just how different his size is compared to easton's. e was tiny, and wore clothes that were less than his age range (still today). -he takes a bottle from tony (pretty) well. but would much rather nurse. -we lay him down while he's still awake for both naps and bedtime- and he falls asleep on his own. -he doesn't like the car, although i think it's because he is in his carseat and not in my arms (and has less to do with the car). -i rarely put him in a stroller, he loves to be strapped to my chest (and i love that, too). sailor-boy (a nickname that was first used by easton and has stuck) is such a beautiful, happy, and healthy baby. we are so thankful that God has blessed us with such a gift. here is easton's three month post, if you're interested in reading it!